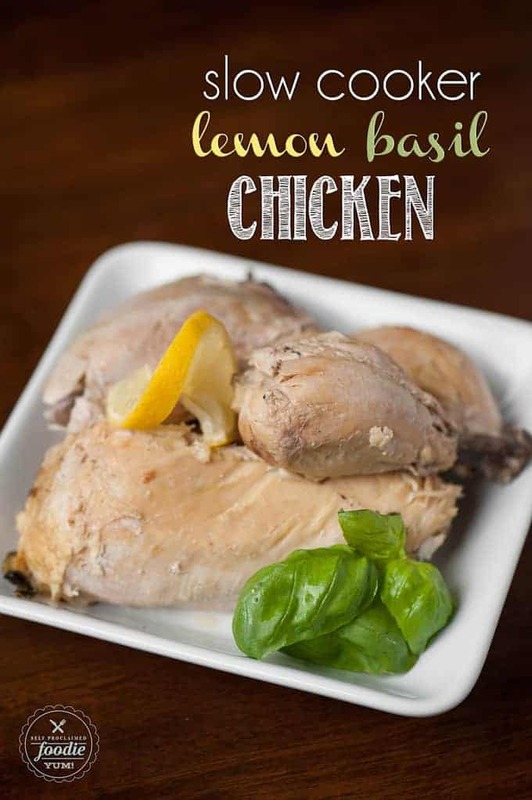 Prepare an easy family dinner by making this Slow Cooker Lemon Basil Whole Chicken. The chicken can be eaten as a main dish or used in other recipes. 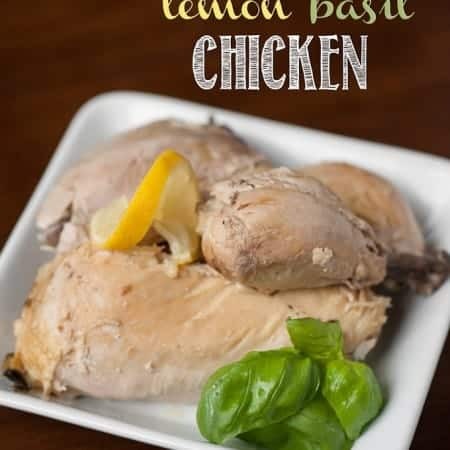 Do you know what happens when you throw a whole chicken into your crockpot with ingredients like lemon, basil, onion, garlic, and olive oil? You wait all day and then end up with the softest, most tender and flavorful chicken. Super easy. I always struggle to take photos of things like a whole chicken that’s cooked in a slow cooker because it basically falls apart when you try to lift it out. How is it possible to stage something like that to look pretty? I was able to keep a few pieces from entirely sliding off the bone in order to get the one shot. 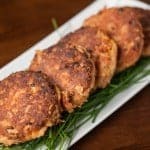 This is a super easy and healthy way to make chicken. 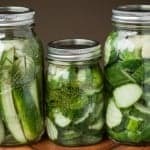 You can definitely cook it this way and serve it up with some salad and mashed potatoes for an easy dinner. Go for it. I personally prefer to cook my chicken like this, though, when I want to shred it and eat it on salads or in other recipes that call for shredded chicken like these killer chipotle quesadillas. The best reason for cooking your chicken in the slow cooker, other than the fact that you throw a few things in a pot and get to walk in from a stressful day at work to the wonderful aroma of a home cooked meal, is that you can take all the meat off and then throw the skin and bones right back in with some carrot, celery, a bay leaf and water to make some insanely good homemade chicken broth. Place sliced onions in your slow cooker and set chicken on top. Zest the lemon and add the zest to the slow cooker. Then slice it in half, squeeze all the juice over the chicken, and throw the lemon halves in. Add the basil leaves and garlic. Pour the olive oil over the chicken and then add the salt. Cook on high 4-5 hours or low for 6-8 hours. After its done cooking, remove the meat and be sure to put all the skin and bones back in along with some other ingredients to make slow cooker chicken broth. 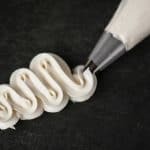 THE RECIPE WILL NOT PRINT. Please help for the future. I hand copied, but would appreciate the help. 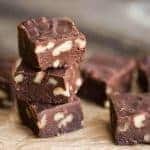 Hi Virginia, I just clicked on the print button under the picture within the recipe as well as the Print Recipe button at the top of the post and both worked. Not sure what happened? Let me know how it turns out for you!